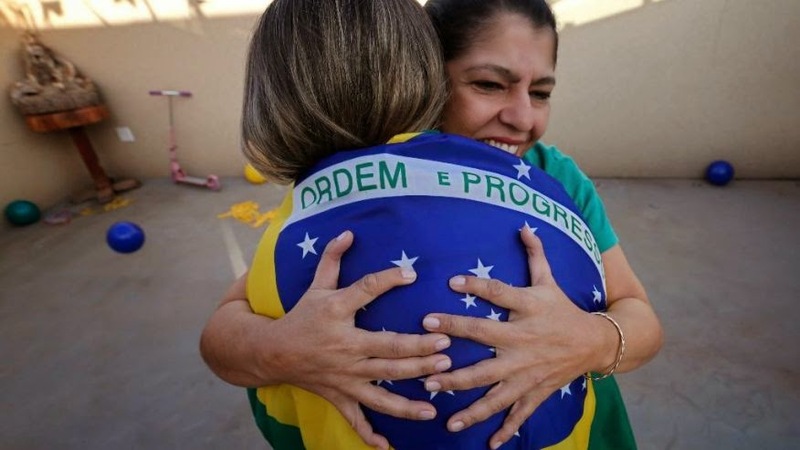 Brazil is going for their sixth World Cup victory this summer on home soil and perhaps this Brazilian family is the omen that they need to reach their goal. I am not one to believe in psychics, unless they are of the animal kind, or witches, but when you show me a family where every member has six fingers than I am more easily persuaded. 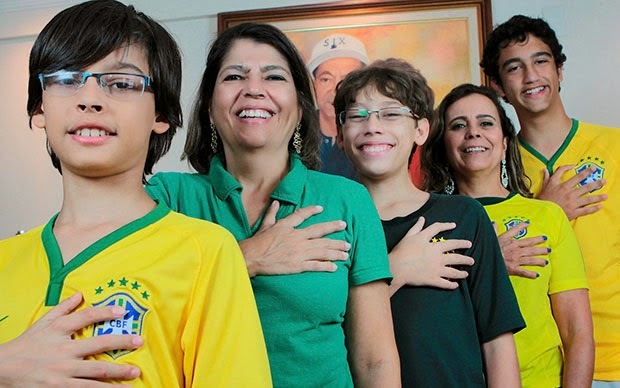 Da Silva family lives in Brasilia and they believe their rare condition is an omen that will help guide Brazil to their sixth title. It sounds strange, I know, but when 14 members of your family are born with six fingers, I think you should listen to them and maybe, just maybe think that might be something to this story. They suffer from a rare genetic illness called polydactyl. 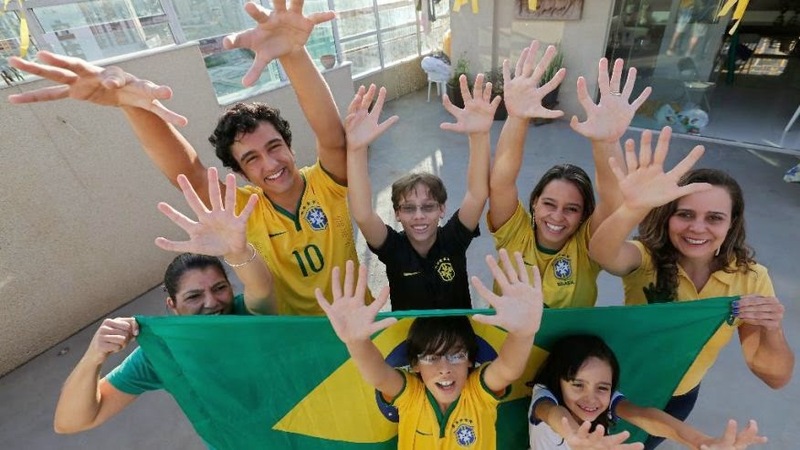 They believe that their six fingers are giving the Brazilian national team a special aura and karma that will help them achieve their goal. Their sixth digit works perfectly, just like the other five. So they have six functioning fingers. This is rare, but when a family has 14 members with this rare illness you have to stop and look, I know I did. At first I thought the story was bogus, or the pictures were photoshopped, but to my surprise it wasn’t. These are as real as Messi’s tax returns. They are legit. One of the family’s teenagers, Joao da Silva is a huge fan of Neymar, but wants to be a goalkeeper. Of course he does, he has six fingers in each hand. If I had his hands I would try my luck at being a goalkeeper as well. It is the logical career path for someone with his “natural” ability. He has a far better grip of the ball than a regular kid with 5 fingers. Why not use it to his advantage. The incredible thing is that they not only have six fingers they also have six toes. Some of the women in the family have had them removed in order to be able to fit in woman’s shoes, but the men have kept them. I wonder if this provides them with better grip and acceleration. You would think a player with six toes would run faster than one with five. If this family is not a sign of the God’s I am not sure what is. Brazil may have indeed found their lucky charm, and it comes with six fingers and six toes.